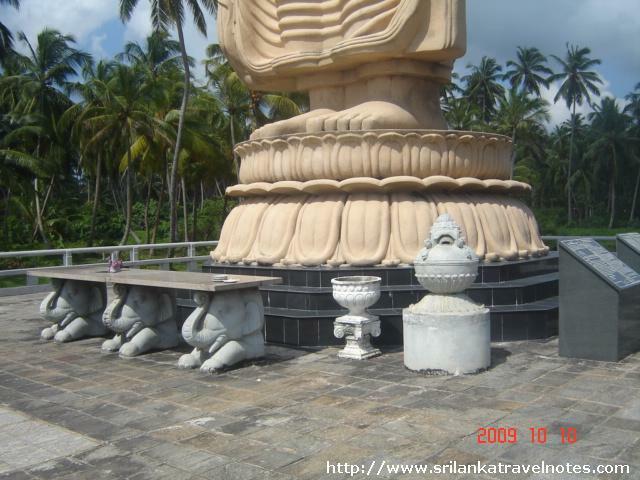 Peraliya is a little village, close to Hikkaduwa town by the coastal belt. 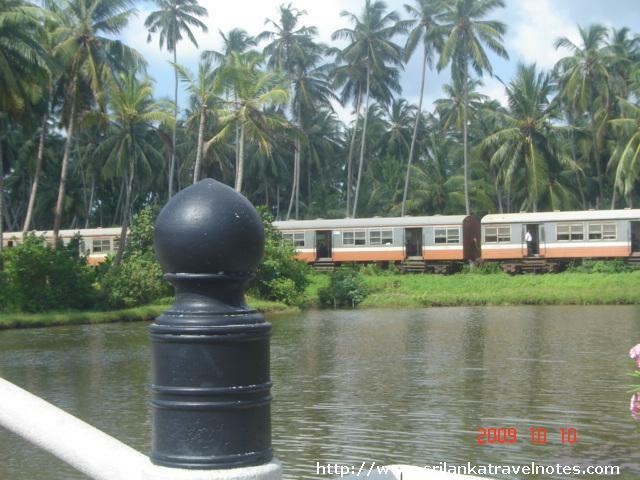 That day morning, the train from Colombo to Galle was passing this village, when TSunami waves hit it. Waves was so powerful, that it pushed up the entire train , including the engine and the compartments and thow few meters away. More than 1500 passengers died in this incident. This is considered as the most tradagic train accident in world history. Not only the train passengers, large number of villages lost their lives because of this. Still you can see many abandon houses in this area, all or most of the residence were died in 2004 TSunami. 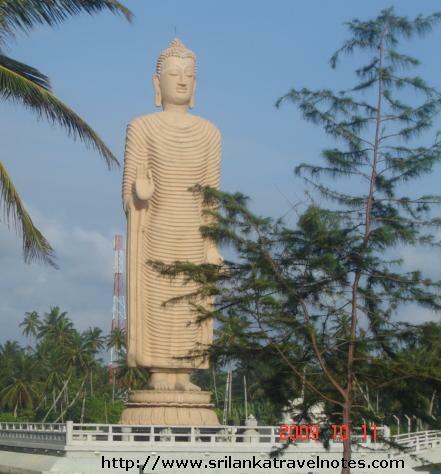 This Buddha statue was build, close to railway track, where this tragedy happened. 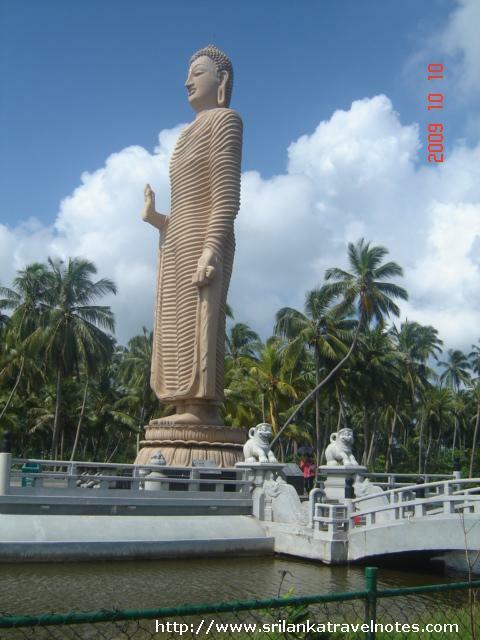 Other interesting this is, this statue was done as a replica of the Bhamin Buiddha statues which were in Afghanistan. These original Afghan statues were destroyed by Taliban militants few years ago. 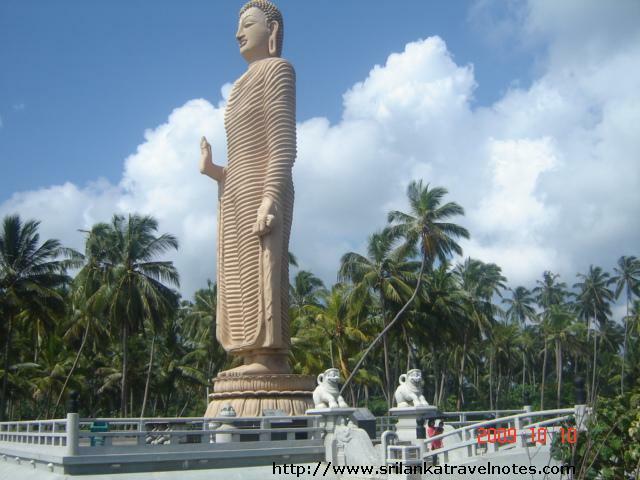 Peraliya Buddha statue is well visible to Colombo- Galle main road and you can park the vehicle, by the road and visit the place. This was done with the Japanese donation and its located in a small island, middle of a pond. There is a small bridge, you can walk in.